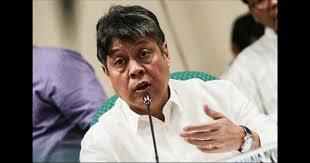 Senator Francis 'Kiko' Pangilinan was the only result of the recent Social Weather Station (SWS) investigation that discussed the government's drug war. It is reported that 78% of Filipinos or equivalent to FOUR every five are allegedly 'SATISFIED' or are in the style of the government headed by President Rodrigo Duterte himself. However, Pangilinan did not mention the result of the talks and instead filed it up and insisted that most Filipinos were brought out of fear of the President's leadership style. He said, "I doubt I'm afraid that the answer to that said in the survey". He added that many have also been afraid of experiencing the slaughter of those who have been killed by the War On Drugs or Oplan Tokhang by the President so they have been compelled to agree. "Left and right are killing our countrymen like Oplan Tokhang, and this is why it is possible that in the case of those who argue that they are against the daily killings of drug war, "Said Kiko. Senator Francis 'Kiko' Pangilinan / Photo from PhilNews.Ph At the same time, Kiko 's fellow Liberal Party Senator Bam Aquino also said that the problem of drug trafficking in the country is very serious, he said, as is the case with the Duterte administration in its resolution. Aquino's point is that it is better for Filipinos to have the government set up a type of REHABILITATION or COMMUNITY INTERVENTION, instead, instead of resorting to violence and killing those who have lost their way for illegal drugs. Kiko remains an avid critic of the President in the war against illegal drugs with the imprisoned Senator Leila De Lima and the accused Senator Antonio "Sonny" Trillanes. Sen.Kikoman ang katwiran mo ay sablay para hindi ka abogado kaya ka linampaso ni Sen. Ping sa Plenary isip isip muna bago magbitaw nang komento.